Good Morning Pretties! The winner of the Friday Quick Post Two Faced Cosmetics Eye Shadow Quad Contest is Nicole Brown!!!! Congratulations Nicole! Check back soon for the next Friday Quick Post Contest! Don’t forget to follow Pretty Domestic @1prettydomestic. 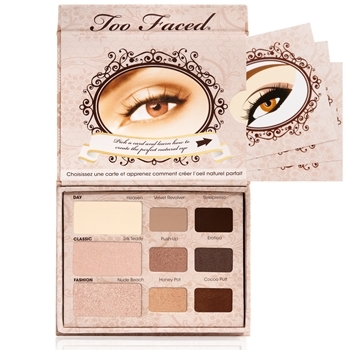 « Friday Quick Post ~ Win an Eye Shadow Palette by Two Faced Cosmetics! I’m so happy that I won!!!! Thank you so much! I can’t wait to try out my new eye shadow!!! I received my Two Faced Cosmetic Compact this weekend!!! I can’t wait to try it out! Thanks again!